The lovely combination of radishes and their greens gets elevated to extreme deliciousness in this simple recipe. Radishes are a member of the cruciferous vegetable family; which means they share the cancer-protective benefits of their cousins broccoli, cabbage, kale, and Brussels sprouts. 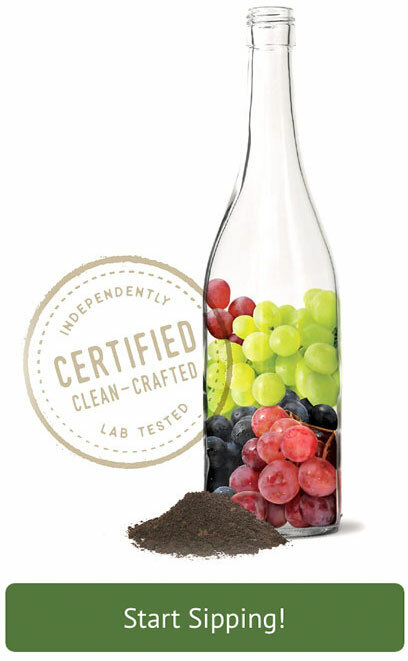 They have also been used throughout history as a medicinal food for liver disorders. 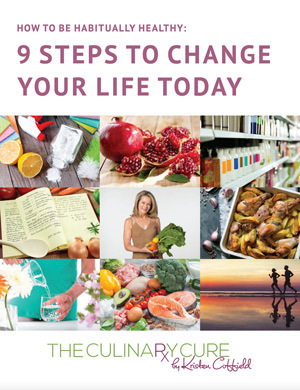 Radishes get some of their super powers from a variety of sulfur-based compounds that help to increase the flow of bile, which benefits gallbladder and liver health and aids in digestion. Both the radish root and greens may be eaten, and are an excellent source of vitamin C. Radishes are used in many cultures for gastrointestinal disorders, especially stomach ache and gas. I love to use radishes in a variety of ways; their peppery raw bite makes a sassy addition to salads, sandwiches and appetizers. One of my favorite appetizers is french breakfast radishes dipped in soft butter and served with good bread and sea salt. As delicious as radishes are raw, roasting them in a hot oven, tempers their heat – turning them nutty and elegant. 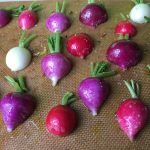 When the weather turns nice, and my local farmers market is filled with seasonal produce, I make this recipe with French breakfast radishes. In the winter, when I must rely on the grocery store, I often get lucky and find mixed color bunches, with white, purple and red radishes. Oven roasted radishes can be serves as an appetizer, salad or a side dish. They pair exceptionally well with seafood dishes, and I love them as part of a spring menu with grilled butterflied leg of lamb and tender asparagus. You can also use them as the topping for a crostini with a thin slice of bread and some dill butter. Enjoy! Trim radish tops to 1/2" and wash thoroughly in cold water to remove any grit. Slice radishes in half lengthwise. 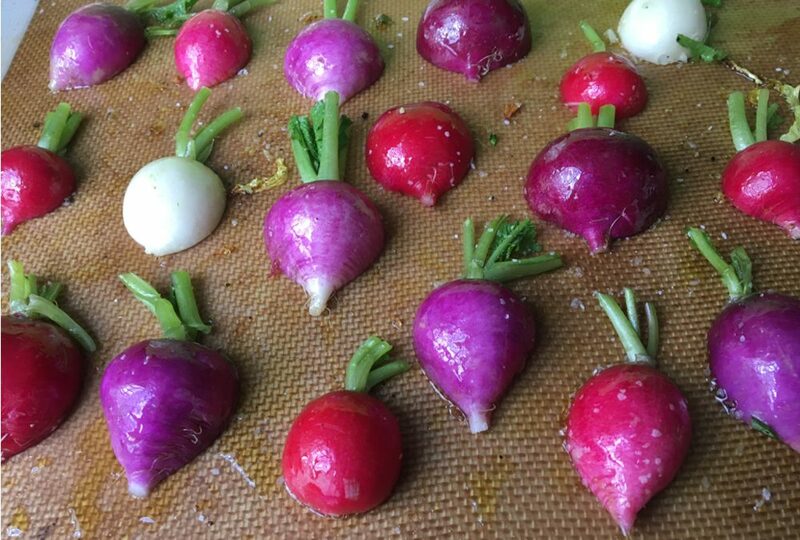 Toss radishes with 1 1/2 Tbs. olive oil. Place on baking sheet, covered with parchment or non-stick baking mat, cut side down. Sprinkle with salt and pepper. Place radishes in preheated oven and roast 8 minutes, turn radishes over and continue roasting for 8 more minutes. Melt butter and 1/2 tsp. olive oil in a skillet over medium high heat. Add coarsely chopped radish greens and cook until wilted. Finish with fresh lemon juice and season with salt and pepper. 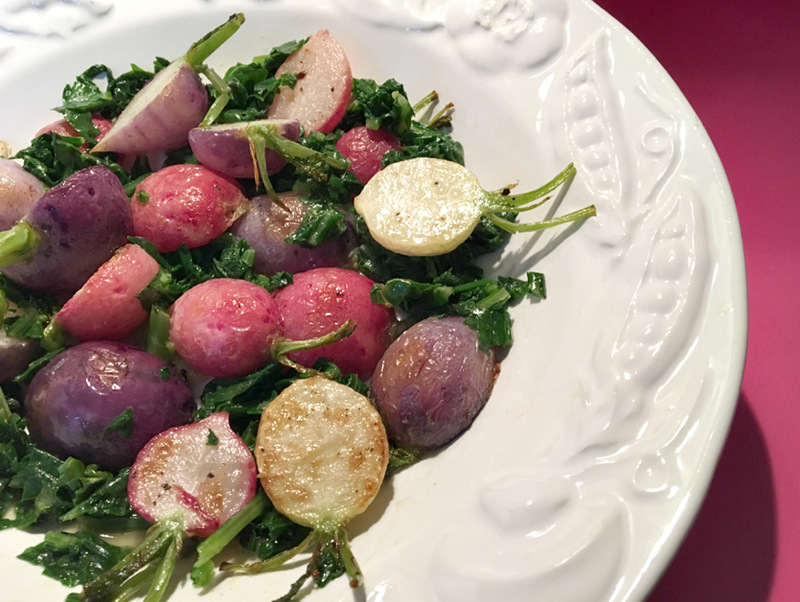 Toss roasted radishes and the cooked greens together in serving bowl and enjoy! I can’t believe how simple and good these are. I don’t love the spiciness of raw radishes, but these taste way more like potatoes than anything else when roasted. Especially if there is really good sea salt on them. SO good. Thanks for the recipe!